Jose May sat in the audience at his daughter’s school, listening to parents at Career Day telling their stories. Every speaker talked about how they graduated from high school, enjoyed dorm life, and went on to fulfilling jobs. When it was his turn, Jose had a different story to tell. Now a successful network engineer, Jose knows not everyone takes a direct path to college. He came to the United States from Mexico at 15 and went to work right away to earn money for his mom’s medical care. He worked hard – landscaping, cooking – but he never went to school. In his early 20s, with a wife, a young daughter, and a low-paying job in a kitchen, he knew it was time to reach his potential. He walked into the doors of Renton Technical College and immediately felt welcome. He started in Adult Basic Education studying for his GED, then took math and other prerequisites to prepare him for the computer science program. He graduated in 2013 with his associate of applied science in computer systems networking and his high school diploma. Before graduation, he secured an internship with a Microsoft contractor. 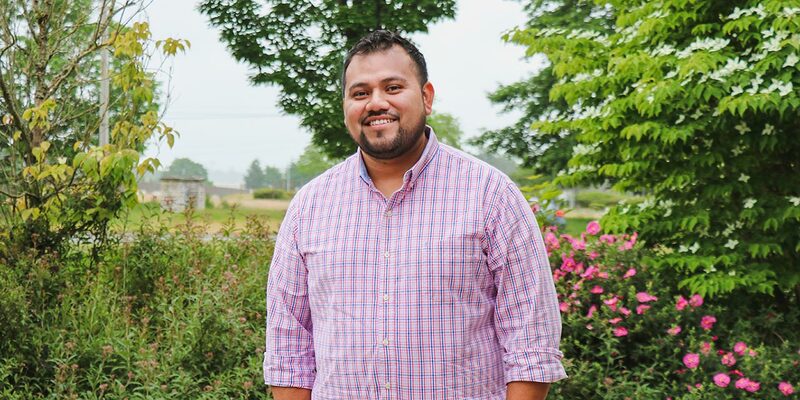 Jose moved on to the help desk at Lynden Incorporated, then moved up to IT security analyst, all while pursuing his bachelor’s degree at Western Governors University (RTC's applied bachelor's programs weren't available yet) and earning 10 industry certifications along the way. Now he is a network and systems engineer for the City of Redmond. Now his children won’t be the first in their family going to college. Jose knows how to navigate through college, and he has the resources to help them succeed. “If I was able to get a bachelor’s you better bring me a master’s,” he jokes to his daughter, 12, and son, 10. Jose would advise other students in his situation not to be overwhelmed by the end goal. This is the first time in his 10-year-old son’s life that his dad is not working two jobs or working full-time while going to school. Jose admits he’s had to sacrifice some time with this family to meet his goal of providing for them, which included buying a home in a good school district. He looks forward to having more time with them, but it’s hard to not push himself. Find out more about RTC's Information Technology programs.